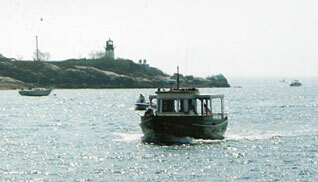 A narrated lobstering trip, and tour of New England's most beautiful harbor. You've enjoyed lobsters at home and in restaurants. Have you ever wondered how lobsters are harvested? 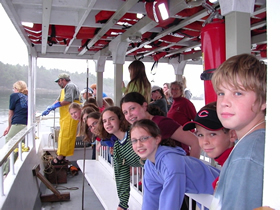 On this 1-1/4 hour tour and demonstration, you'll learn all about lobsters and lobstering. We even allow the kids help with the haul! As part of your cruise, enjoy a narrated tour of historic Gloucester Harbor, including the famous fishing fleet, Ten Pound Island, Rocky Neck Art Colony, Norman's Woe, and more. Here's a chance to see some sights inaccessible from land -- bring your camera!